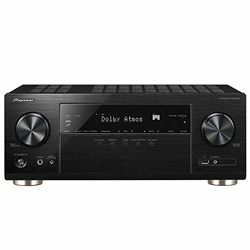 While testing Pioneer VSX-933 vs Denon AVRX2400H, I tried to compare two mid-level devices with the same power, number of channels, sizes, and smart features. The units seemed to be clones except Pioneer VSX-933’s AIR Studios monitor certification to ensure the AV’s sound quality. 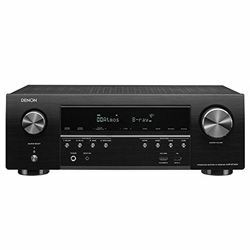 On the other hand, Denon AVRX2400H has a Pure Direct mode to enjoy the sound of better quality from all inputs. Pioneer VSX-933 has the ASR tech to compensate the sound quality that is fading while file’s compression. It also uses Sony’s tech x.v.Color to expand the color space in movies, but it makes sense only if the compatible video device supports x.v.Color. The Deep Color tech is also implemented in VSX-933 to increase the depth of every color. Denon AVRX2400H’s dual antenna system provides the flawless streaming without any errors whether you use Wi-Fi, Bluetooth, or Apple’s AirPlay 2. 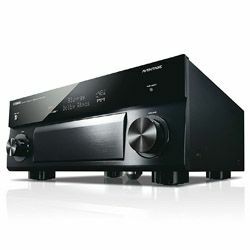 Note that Pioneer VSX-933 consumes the enormous amount of power – 480W versus Denon AVRX2400H’s 185W. 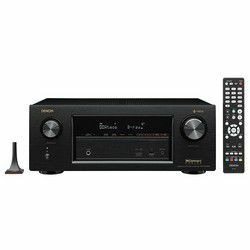 Besides, Denon AVRX2400H can offer more power per channel and dual-zone capability to set one more acoustic system in another room. 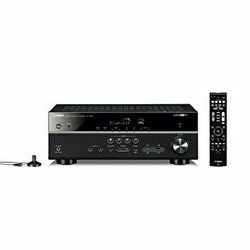 When checking Denon AVRX2400H vs Pioneer VSX-933 in terms of functionality, the difference in the number of HDMI inputs was noticed first – Pioneer’s 4 inputs against Denon’s 8 ones. In addition, all of them are HDCP 2.2 compliant to provide 4K HDR signal pass-through to every single HDMI input. Pioneer VSX-933 uses MCCAC calibration that allows setting all the channel levels and delays for one’s particular room. It makes EQ more balanced and Atmos soundtracks remove any noises better. 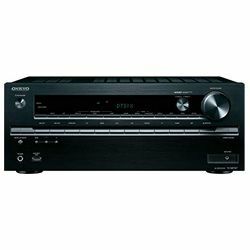 Pioneer VSX-933 is designed with either black or silver finish and comes up with silver feet versus Denon AVRX2400H’s black feet. Pioneer’s construction is characterized by brushed front panels and 9 large speaker terminals on the rear panel. One of the Denon’s HDMI inputs is on the front panel, as well as a phone jack, setup mic hole, and USB port that allow making the most frequently used connections quickly. Cross-platform upmixing (to upmix Dolby Digital track with DTS Neural:X, for example). Supports Google Assistant voice control. The bass elements are imbalanced a little. It is possible to customize the crossover to all speakers at your own discretion. It is ventilated with both its own air-conditioning vent and a cooling fan on top to prevent overheating. No HD radio functionality and it doesn’t receive the lower end of the FM band.